A few Sundays ago, a fellow church member, Rob Stacey, talked to our Sunday school class about judging a person based on his outward appearance. In speaking, he cited this verse of scripture: “Look beneath the surface so you can judge correctly” John 7:24 (NLT). Rob told us he had been born with cerebral palsy. His gait is slow and he walks with the help of a walker. When out to eat with his wife, the waiter asked his wife what Rob would like to eat. Her response was, “I don’t know. Why don’t you ask him?” Rob’s admonition to us was don’t assume and never direct questions to someone with a disabled person until you have tried talking to the disabled person. Courtesy of David Ring’s media page. My friend Rob reminded us that we all have purpose as long as we have breath and we need to respect that with one another rather than make broad assumptions without facts to back up the assumptions. When we find the purpose God has given us, He equips us to use what we have to serve others. David Ring says “God took my greatest liability and made it my greatest asset.” His disability is not a hindrance but a tool in furthering the gospel of Christ. Just a few of some very special friends who taught me a lot. I had six incredibly blessed years working with mentally challenged men and women as a church department director. I bore the title of teacher, but it was those mentally challenged individuals who did the teaching. They were so much more than what first impression said. Margie could hardly speak and she didn’t have a normal walk. But by God’s grace and Margie’s patience, I came to understand much of her speech and how much she could comprehend–which was a lot. Dianne appeared testy and sullen, but she was a woman who loved God and was happiest when in worship service. Tim, mentally challenged and blind, loved to sing solos and give testimony to God. Another woman also named Dianne, had Down syndrome and spoke very little. But it wasn’t because she couldn’t carry on a conversation; it was simply a choice she made. She knew every book of the Bible and could readily find scripture. When I think of those with severe disabilities, the first two people who come to mind are Nick Vujicic (without limbs) and Helen Keller (blind, deaf, mute) and they both became world changers. They are prime examples of how wrong we are to make determinations based solely on what we see or first come to know. People can seem different for a lot of reasons. They may look different and they may behave different, but until we have looked beneath the surface as said in John 7:24, we cannot possibly know who they are or what they can do. Now it was time to wait. I had come to receive treatment for a newly diagnosed eye condition. I was alone and with nothing to distract, I began watching and listening to the people around me. My eyes moved around the waiting room and took in the canes, walkers, and wheelchairs; the patients accompanied by family or friends. I thanked God that I didn’t need walking aid and was able to drive myself to the clinic. I wondered about each person there. Was theirs a longstanding situation or were they dealing with a new diagnosis as I was? One lady sitting in a wheelchair across from me seemed asleep, but then she suddenly began saying to the two ladies with her that she wanted to go home. Did she want to go home because she wasn’t feeling well? Was she dreading what she might hear today? Her companions didn’t seem too concerned and barely acknowledged that she had spoken. They appeared to be working from a list of people, calling each one to leave a message of concern and express their love for them. Yet here was this lady right there with them receiving little of their attention. Isn’t it the way with people; we look for some good act to do when there is an immediate need right in front of us? The staff moved about through hallways and doorways at a fast clip. Each one was focused on the work that was theirs to do. They were professional and friendly, having no side conversations with one another that didn’t involve patient care. Their demonstration of being highly skilled in patient and family interaction was impressive. They had either been hired well or trained well. Most likely, both had occurred. I’m a people watcher by nature, but I become even more so when I’m in a healthcare environment. For more than 25 years I worked in healthcare and that has made me overly sensitive to staff that isn’t professional. In fact, I was at this very clinic because the first ophthalmologist I saw had a staff that interacted playfully with one another but very little with their patients. The physician was rushed into each room by staff and it felt somewhat like I was on an assembly line. After three visits, I determined to find a better fit. This was my eyesight we were dealing with and I needed the utmost confidence in every player involved with my care. Did you know that over 90% of communication is considered non-verbal? What a person “hears” involves body language, tonality, and attitude. When I began teaching communication techniques in 1984, Dr. Herbert Benson, a cardiologist and founder of the Mind/Body Medical Institute at Massachusetts General Hospital, Boston, graded it as over 90% even then. That old adage of “Nobody cares how much you know until they know how much you care” is sound advice. I left the clinic grateful to have found a physician and staff that care about how they represent themselves to patients. That lets me and the others I watched in that waiting room relax into their care. We can come with confidence that highly skilled people are taking care of us and that goes a long way in how well we deal with our particular healthcare situations. In the sweltering heat of southern summers, there was somewhat of a Sunday afternoon tradition at my grandparents’ house of putting small children down to nap on a pallet. A pallet was a homemade quilt folded over once or twice, depending on the number of grandchildren needing rest. Nearby, would be an oscillating fan, giving off a cool breeze as it turned your way. And while children napped, grownups would spend the afternoon in conversation until time for supper. The Sunday noontime meal usually included both fried chicken and country ham. Mama and Papa had chickens and a smoke house where Papa cured hams. The table was heavy with bowls of vegetables from their garden. Desserts came in threes and you didn’t have to choose. Mama brought you a plate with some of each one; maybe two kinds of pie and a slice of cake. Once when Mama proudly brought a plate of desserts to a guest eating with us, he shook his head and said he couldn’t possibly eat all that and to please just give him one of the desserts. I can still see Mama’s face as she looked from him to the dessert plate in puzzlement. Foolish man to turn away the wares of a champion baker! Before nap time and conversation, the table was cleared and the food carried from the dining room back to the stove. There it would be covered and put in the oven or left on top of the stove with the pot’s lids covering the “vittles,” as my grandfather called them.That wonderful repast would wait there for us to enjoy again for supper. And we didn’t always warm it up; rather, it might be spooned onto plates and eaten at room temperature. There was Sunday night church to attend, you see, so tasks were kept to a minimum. Mama’s cooking had gone on the day before or very early Sunday morning. The memory of my grandparents’ table groaning with food and a fan cooling children on pallets are treasured memories. If I close my eyes and listen intently, I can almost hear the hum of that fan as it traveled from left to right and feel the cool breezes it provided on a hot Sunday afternoon. As children of the 40s and 50s, we enjoyed simple pleasures and much security. We felt with our parents and grandparents in charge, no harm could come to us. We were protected from things we did and did not know. We played uncomplicated games of jack rocks and marbles, hop scotch and jump rope. We might search for four-leaf clovers or make necklaces and bracelets by typing together the long stems of the white clovers. My grandparents had an elephant ear plant that was profuse with huge leaves and long stems. Mama would break one off for each of us and we would pretend the leaves were umbrellas to fend off the sun or rain. Imagination in that day was a part of every game we played. I think we need these memories as we age and that accounts for why we reminisce so much in our senior years. Rituals like Sunday family dinners and naps on pallets gave us uncomplicated days. Their recall brings smiles and appreciation for what we then took for granted. Whoever thought things would change like they have? Ours was a world that made sense and gave hope for our futures. Maybe it is sheer foolishness, but somehow I believe that if we could take our children and grandchildren back to the way things were when we grew up, they would actually enjoy and want it. What do you think? My grandmother’s Bible was a treasure beyond any price. I had hoped as her oldest grandchild that I might inherit it, however I never discussed that with my grandmother or my mother and so in the end it didn’t come to be. What made Mama’s Bible so revered? She poured and prayed over its words daily. Her gentle, but sure hands caressed the pages. She wept and rejoiced, she trusted and she practiced. She did what Isaiah said: took root downward and bore fruit upward. I’ve never known anyone that Jesus was as real to as He was to Dulcie Spencer. She sang songs to Him throughout the day and talked to Him as if He were right at her elbow. I’ve walked into her home and overheard her talking and thought she had company, only to find out it was no visitor but her best friend and permanent resident: Jesus. Mama relied on Him completely for every matter and that reliance gave her a radiance that cannot be duplicated by anything of this world. Mama had a heavenly glow. My grandmother had no earthly riches. She lived a simple life, but a life marked with beauty because of how she lived it. Mama’s standard was to do exactly as God’s Word said for her to do: she loved God with all her heart, soul, strength and mind; she loved her neighbors as herself; and she believed God’s word that when we trust Him completely, He will never forsake us. Mama’s family saw and respected that trust. I believe we were all, in fact, hugely affected by her rock-solid trust in God. My earliest memory of Mama is of her kneeling by her bed for prayer at end-of-day, long dark braids falling down her back and over her homemade gown. Mama always prayed aloud and just as I have visual remembrances of Mama, I have auditory ones, too. 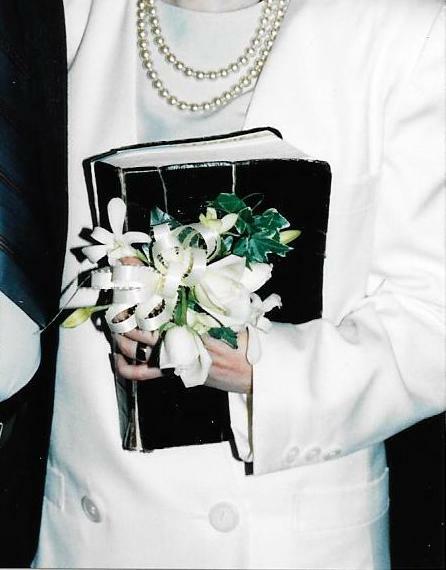 When I married in 1989, Mama wasn’t physically able to be with us so she sent her Bible to me for the ceremony. I can’t think of better representation of this woman that I loved more than ever I could express. Though I didn’t get to keep the book she loved above all others, she did give me her faith and for that I am eternally grateful. Mine isn’t as beautiful as hers, but it is as confident. And what she passed on to me, I passed on to my daughter Kristi. I know because I have witnessed it. I truly cannot imagine my life without this great woman’s influence. 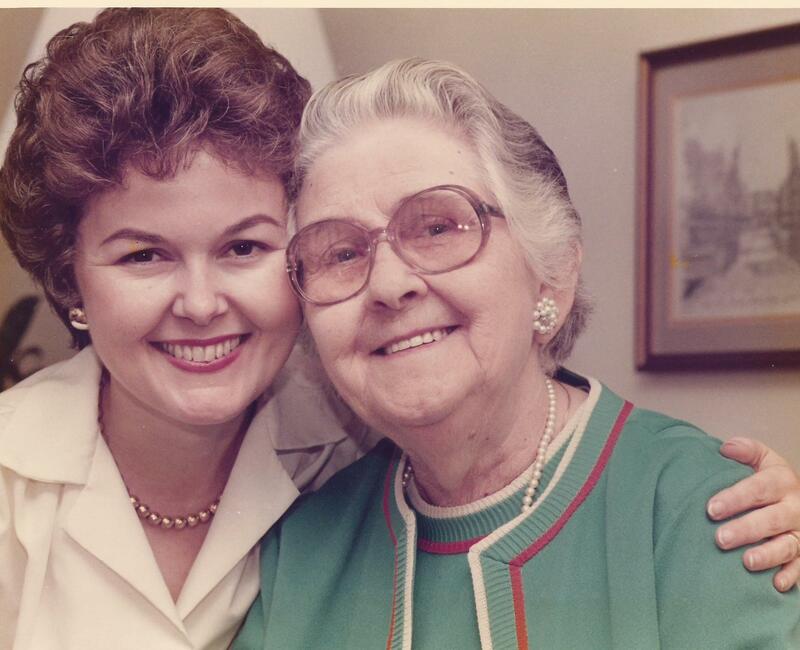 I have often said if I could choose to be like anyone in the world, it would be my grandmother. I wish I could say I had lived a life like hers, but I can’t. My journey has been one of much stumbling, failing, and starting over, however no one’s persuasion of faith has had a greater hold on me than that of Dulcie Spencer. 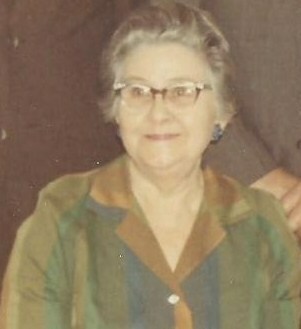 I thank her for showing me a Jesus she never doubted and pointing the way to heaven’s door. You are my crown jewel, Mama. Here are a few lines from a letter Mama wrote to her children not long before she died in 1991 at 91 years of age: The dear Lord has been so good to our family. I can’t thank him enough and that he lives in me all the time. I’ve prayed to him all my life and He answers my prayers day and night. Please don’t grieve after me when I’m gone for I’ll be safe with our dear Lord and all my loved ones in heaven. A recent Guideposts story on job perspective really gave me pause. A man who had lost his job and had been unemployed for seven years was offered the job of janitor at his church. While he was grateful, his wife was not. It would require both of them and she felt it wasn’t important and fell beneath their potential. But as she received new vision on the job’s importance, and in some part the hidden roles it played, she reexamined her attitude and her life. She had an attitude shift—a new perspective. I began thinking of those who clean our church and church school and wondered how they saw their jobs. Our buildings are immaculate: floors shiny clean, walls free of marks, bathrooms fresh and in order. It must take incredible attention and skill to keep them that way. Do our janitors see their work as important? Do they feel appreciated? Have I ever told them they are appreciated? At a very large church next door to us, the cleaning duties are staffed by volunteers and headed up by a company executive. 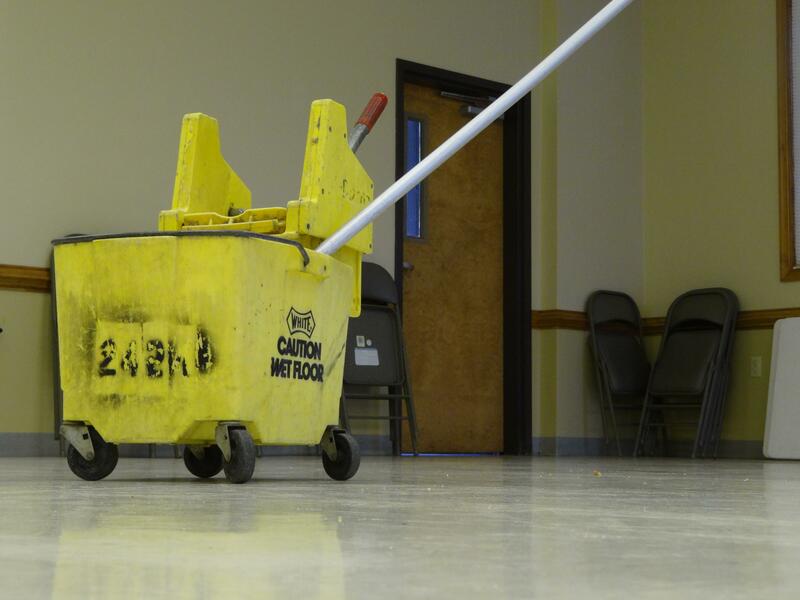 Keeping the church clean is a job he asked for, a way he desires to serve, and that service has provided $1.6 million in local and global missions. It’s pretty easy to see the value of their jobs, but it doesn’t have to be this dramatic to make a difference. Any building kept clean says a lot about what happens there, and probably nowhere is such a statement more important than in a church. The basics done with excellence indicate how other things are managed. There is a quote I’ve always loved: “Every job is a self-portrait of the person who does it. Autograph your work with excellence.” While some jobs may take a while to reveal an individual, the profession of cleaning is a work that paints a self-portrait quickly. Sometimes you have to reach bottom to understand the importance of basic work. That’s what happened to the man who for seven years had sought work like he had—that of a software developer. He came to a place where having a paying job was more important than what he did and he received the position offered him with gratefulness. He embraced it determined to do his best and six years later is still signing that work with excellence. The executive who cleans our neighboring church is a recovering alcoholic. That dealt with his ego in a powerful way and his way of serving others still goes strong after twenty years. Another self-portrait signed with excellence. I began to think of other work that wasn’t so glamorous but ranked as valuable to most of us. What about the people who bag our groceries and take care to separate delicate items from heavier ones? Who limit the weight put in a bag? What about someone in a store who walks us to what we are looking for rather than pointing the way? The service people who come to our houses and put on shoe protectors at the door rather than tramping through with whatever they’ve brought with them from outside? Every job is important and I’m going to be better at letting those with jobs that daily affect my life know I appreciate them. I hope you will join me in the doing the same. Nighttime fear is a common plague with many. Everything seems worse in the dark. Darkness gives the sense that we are more alone than when the light of day gathers ‘round us. When others are sleeping and there is no one to talk to or distract us, our imagination can run wild. Personally, there is only one practice that delivers me from nighttime fear and that is prayer on my knees. I can lie in bed and pray, but it won’t be the same. There is a different solace altogether when I bow before God. When I am willing to leave the comfort of a warm bed, I am saying to Him I am serious about my need for His help. It is an act of humility, a demonstration that I know we are not equal and I am to be in submission to Him. And here is the good news: I cannot remember a single time when praying on my knees failed to bring peace. I had a grandmother who taught me to pray on my knees. She never told me I should—just showed me. Praying on her knees beside her bed at night and praying on her knees for me when I was sick are deeply etched memories. She had no confusion about who God was or how to relate to Him. Jesus was her best friend. She talked to Him aloud throughout the day and as far as I could tell, never once doubted that He would take her through anything. Her faith was rock solid and uncomplicated. When her husband, my grandfather, died, she made this simple notation in a book: Jim went to be with Jesus today. As I write this, I know there are some who can’t get on their knees for one very real reason or another. Not an act of defiance or laziness, but due to physical disability. Toward the end, my grandmother couldn’t do it either. But for all those years it was possible, she made it her practice. If you awake because worries are gnawing away at you, why not give praying on your knees a try? And if you are physically unable to bow before the King of Kings, spend a little time bringing yourself into a mental bowing before you begin to pray. I believe you will see the difference. I choose “love” because the ones I have admired most are those who have loved best. They have understood the way of God’s love, that it is unconditional and abundant. They embrace it and let it spill onto others. They embody a joy and ease with life that tells me they know the secret to contented, purposeful living. People who love well have an aura about them that speaks good will. They seem to move effortlessly through life, content with the simpler things, unhampered by the world’s bounty. I see them as vessels filled with God’s love, ever ready to spill out onto the lonely, the heartbroken, the guilt-ridden, the insecure, the anxious, the frightened, the grieving, the young and the old. They truly care about all God’s creations and caring seems for them as natural as breathing. They don’t hide behind busyness or judge anyone as being unworthy. These people have learned the joy of being fixed on God’s love and not the world about them. They don’t love for recognition or reward, but for the simple pleasure of caring. So in 2015 my word of focus is “love.” I want to love more and better. And the best way I know to do that is to pitch my tent around the Book of Love in new ways. Read scriptures as if for the first time and think about how to implement what I am reading as an action of God’s love. It is one thing to know about God’s love and yet another to live that love. I want to do a lot more of the latter. I sat by her bed and held her hand. Mother smiled and said how proud she was to see me. I told her how glad I was to see her, too. Then she looked off and was quiet a while, as if in another place. Looking back at me, she told me again how glad she was that I had come, saying she didn’t know when she had last seen me. Mother no longer has a concept of time and she doesn’t remember when any of us have visited or if we have visited. She asked about my husband and then remembered he had died and said how sorry she was. She asked about my daughter, calling her by my name, but I knew who she meant. Then we would begin the same conversation all over again. Mother’s dementia doesn’t allow her to hold on to what she has just said or heard. She gazed out the window and said how pretty the dogwood trees were. But there were no dogwoods in view. I supposed someone had wheeled her to a window to see them and she was remembering. Mother always loved the outdoors; it was her favorite place to be. She was a natural gardener and roses were her favorite things to nurture in the soil. Most all of her rose bushes were produced by the way she learned from her mother: Cut off a length of stem from the variety of rose you want, bury it in an inch or two of dirt, give it some water, turn a canning jar over it, and wait for it to push through the ground. It worked for her every time. Mother looked up at me and said I was pretty. 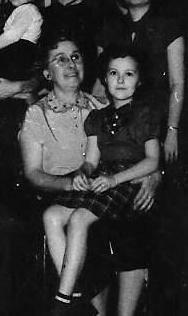 I told her that her nurse exclaimed she knew who I was the minute she saw me, because I looked just like my mother. She said she had never heard that before, but it made her smile. I’m so grateful for her smiles. Mother asked when she could go home and I told her as soon as she was well. She nodded her head, then talked again about the pretty dogwoods. Mother’s feet and ankles were terribly swollen. Her right foot remained heavily bandaged due to a wound resistant to healing. An infection developed after Mother nicked herself with scissors shortly before her hip fracture and while she was still semi-independent. She was wearing TEDS (tight-fitting socks) to reduce the swelling in her feet and legs and decided she didn’t want to wear the TEDS anymore so she took her scissors, cut them off, and told no one. By the time it was noticed, infection had set in. Mother eats very little now and doesn’t get the protein she needs for healing, even with supplemental nutrition. She says she just isn’t hungry. Much of the time, Mother thinks she is at her grandparents. She also believes the furniture in her room belongs to her Grandpa and he is letting “all these people” use his furniture, so we talk about how nice that is of him. She isn’t up for long visits anymore. She signals that by mentioning that I shouldn’t stay too long, that I should get back to my home. After the third time of saying it, I ask if she is tired and she says she is, so I know I need to leave and let her rest — which means sleep. She tells me again how glad she is I came and I assure her I will be back very soon. Mother is 93 now. She and Daddy married at 15 and 18 and I loved to hear Mother tell about how they started out, living in a house that you could see daylight through the walls – but they were happy. Just like her mother before her, my mother was an outstanding cook. We enjoyed freshly made bread three meals a day. Her yeast rolls would practically float off the plate and I was never able to duplicate her light hand with her biscuits that were tender perfection. We ate vegetables and fruits from the labor of her hands in the backyard garden. Her desserts were a work of art, and again like her mother, there was fresh dessert every day. I would be hard pressed to declare a favorite, but the hot plum cobblers served up at noon, the biscuit puddings made from the leftover morning biscuits, and her special apple roll baked in sweetened milk and spiced with cinnamon are immediate recalls. I know my love for baking was passed on from my mother and grandmother, however I use recipes where they created by a handful of this and a pinch of that. Those who say baking is a formula that must be accurately measured just didn’t taste the wares of Dulcie Spencer and Louise Spencer Luffman. Mother was always happiest when she could be outside working, and it was that love for the outdoors that led to her loss of independence. One morning while raking leaves in the backyard, Mother decided to move the picnic table. A bone in her back gave way and that led to hospital and rehab stays. Mother’s dementia worsened significantly due to unfamiliar places and we were told she could not return home to live alone. So she went from a rehab facility to an assisted living residence, a decision Mother vehemently opposed. We did everything we could to make it homelike for her, but nothing made up for the loss of her independence. It is hard to see Mother like she is now. She says she doesn’t have any pain, but she is frail and 23 pounds lighter since the hip surgery in January. The hands that turned out delectable breads and pastries now have a slight tremor. The woman who loved working and staying busy now spends her days in bed or a wheelchair. She lost more memory with the surgery, but maybe there is a positive side to that, as she seems more content in the nursing home than in assisted living. The nursing home staff provides her with a lot of kind, personal attention and maybe that fits with the childlike state her mind is often in. The years have passed so quickly. It seems strange to find myself in the reversal of the parent/child role. I look through old photos and see the march of time. I am particularly drawn to Mother’s pictures in her 20s; the carefree look of youth, the excitement of having her own family. It would be easy to cry for the loss of that beautiful woman, the mother who doctored scraped knees and put into form every dress design I could imagine. But she seems to be pretty much at peace with how things are and that is a tremendous blessing. Thank you, Father, for your amazing grace that gives victory over death. Thank you for your Son Jesus that declared that victory. We gratefully bow our knee and confess with gratitude that Jesus Christ is Lord. We shout hallelujah to our risen King!